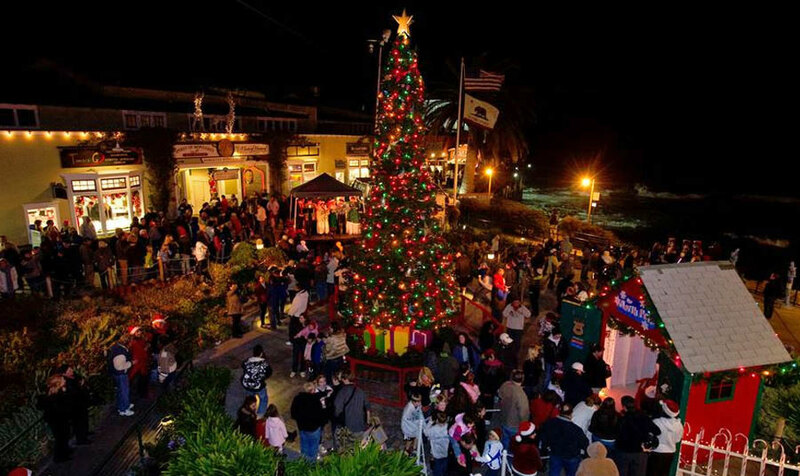 Cannery Row kicks off this holiday season with a day full of festivities surrounding their 14th annual Tree Lighting Ceremony on November 28 in Steinbeck Plaza. Santa Claus' arrival and the official tree lighting is set to begin at 6 p.m. Throughout the day the holiday party will include train rides on the "Polar Express" down Cannery Row, the music of The Money Duo and carolers, along with a tap dancing Christmas tree and a towering stilt walker. There’s more merriment at the traditional "Christmas Tree Lighting” at City Hall on Friday, December 5 at 6:15 pm. Santa arrives downtown on Saturday, December 20 with free wagon rides given to the public through the streets of Monterey. Old Monterey Preservation Society's annual “Christmas in the Adobes” will be Thursday and Saturday, December 11th and 13th including Monterey History and Art Association’s Casa Serrano and the Maritime Museum. Monterey Yacht Club's lighted boat parade, “Brighten the Harbor” will be held on Sunday, December 14. New this year - the Old Fisherman's Wharf Association will sponsor "Monterey on Ice" - Ice Skating by the Bay, at the Custom House Plaza November 26 through January 4. December 1 is the annual Pacific Grove Christmas Tree Lighting Ceremony - Festivities at Jewell Park include live entertainment by school bands and choruses, followed by caroling and refreshments at Chautauqua Hall and Santa’s first visit! December 2 and 3 is Pacific Grove's Christmas at the Inns - Visit 12 bed and breakfast inns – including the stunning Seven Gables Inn - decorated for the holidays in Victoria-era splendor. Entertainment and light refreshments served; tickets $20 per person, For information about Pacific Grove holiday events, please call: 831-373-3304 or visit www.pacificgrove.org.